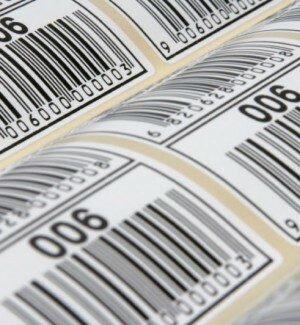 Thermal transfer label stock provides superior contrast for bar code applications. 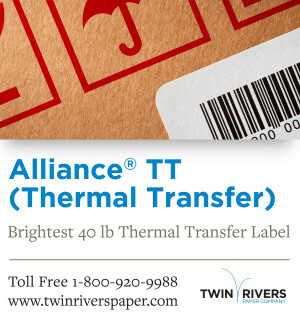 Alliance® TT is a premium thermal transfer label stock engineered with a proprietary coating formulation and smoothness to deliver high-quality image reproduction. 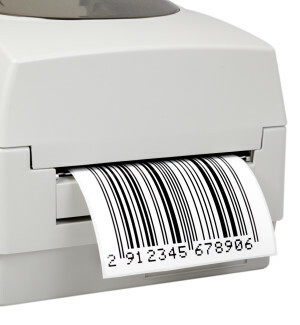 A pressure-sensitive face stock, Alliance TT features improved brightness (91) and a blue-white shade that provides superior contrast for bar code readability. This label paper is designed with high strength properties to deliver performance through printing, laminating, die-cutting and matrix stripping operations. A backside coating imparts curl control and optimizes adhesive holdout and receptivity. Alliance® TT is custom designed to meet the needs of individual customers. Please contact us to discuss your specification requirements.